It is that time of year for Raye of Light Studio’s Cherry Blossom in watercolor class…it’s for beginners! Yes you will be introduced to the materials and even get a chance to warm up using your watercolor supplies before you create on this Saturday at Local by Design at Annapolis Mall. This is geared for your success as we limit the palette to pinks so you can practice layering to create each petal! 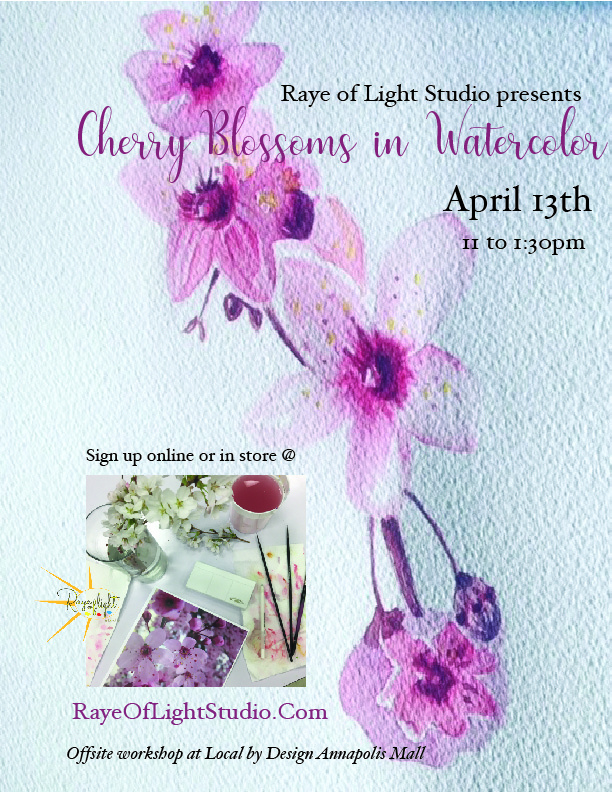 Come paint cherry blossoms and celebrate spring with us, just a few days after it arrives! All materials and supplies for this 2 / 2.5 hour art class are included and all ability levels welcomed. This is an all ages art class from 10 to 110!